Robotic Camera Cable Assembly meetting the reliability demand in bend, twist and slide modes of machine motion. It is a hirose 12 pin straight throught male to female camera cable. Standard Wiring Connections for all 12 Pin CCD Cameras. It is specifically compatible with CCXC-12P. Our Cables Good for Automotive Industry , Medical Device Industry , Machine Vision Industry. Check here for typical Camera Cable Wiring Connection diagram! 100% Tested with mW range for quality assurance! Super Flex Cable Test Conditions: Bulk cables are strached with 300 g-wt during slide, and 90 degrees left and right direction bends on 7.5mm pullies at the speed of 60 cycles per minute! Monitor resistance changes till any conductor fail -break! 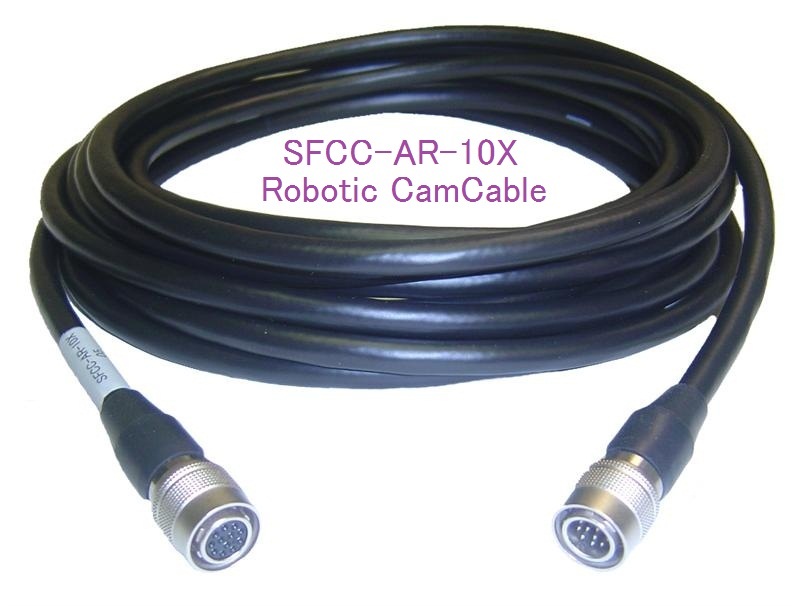 Why Use SFCC High Quality Cables? High quality resolution cameras will not show high quality images unless the cable that it is being supported by is high quality. No matter how good the camera is, the resolution won't be as great with a bad cable. But, with a high quality cable, the image will be shown with the best quality and the highest resolution. * ALL Harnesses Built To Customer Specifications. Custom Specifications Cable Assemblies Welcome. If you have any questions,Please e-mail info@CamCables.com. 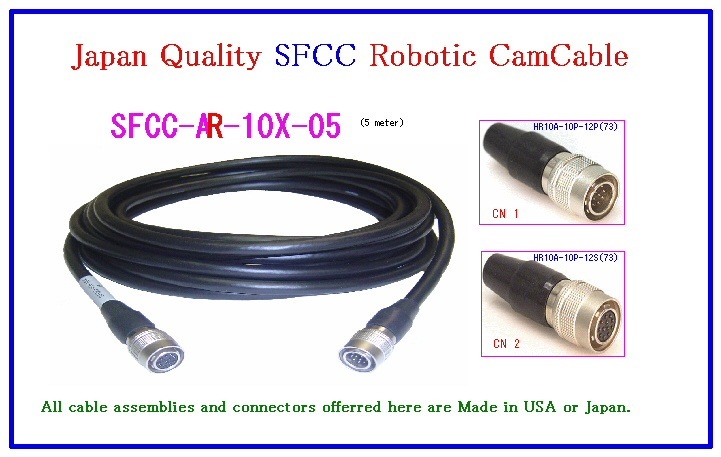 Robotic or High Flex Camera Cable with Molded Right Angle Connector Good For All( Hirose 12 Pin )CCD Cameras and Lens. Standard Wiring Connections for all 12 Pin CCD Cameras.